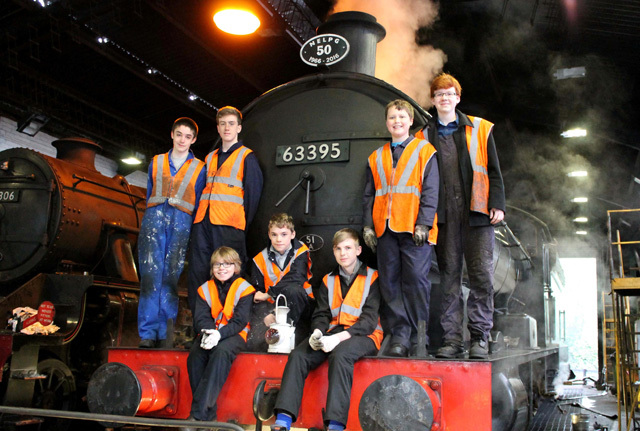 The NELPG Junior Volunteers Scheme provides volunteering opportunities for young members, aged 13 to 16, who are keen to learn more about the operation of NELPG Locomotives. The scheme is focused on introducing young volunteers to the engineering and leadership skills necessary to maintain our locomotives in the 21st century and beyond. Work is often dirty and tiring but also rewarding and enjoyable. The Junior Volunteers meet once or twice a month on a Saturday. They may also take part in the activities of the North Yorkshire Moors Railway Junior Volunteers and the Sir Nigel Gresley 007 Gang if they have memberships of those 2 Groups. The location of each NELPG meet may vary depending on the location of NELPG Locomotives at the time; typical locations are Deviation Shed, Grosmont, Hopetown Carriage Works, Darlington and Leeming Bar Station on the Wensleydale Railway. Safety and Workshop training will be given when joining the group and on an ongoing basis. Junior Volunteers will be expected to bring appropriate workshop clothing including safety footwear and overalls but other safety equipment will be provided as necessary. Please note that there may be a waiting list for joining the group. For further details please contact our Junior Volunteers Co-ordinator Bryan Orange. Although there was no Q6/J27 working party at Deviation Shed yesterday, Bryan Orange reports that a sunny and warm spring day was enjoyed by those who attended the JV workshop session. Andy Lowes and Arthur Jenkins were on workshop teaching duties with Juniors Luke, Scott, Tom Readman, Fin, Will, Alex, Oliver and Matt, and Bryan in attendance. After a hurried cup of tea made by Andy, the Juniors were split into 2 parties - one was in the MPD workshop and the other in the Dev Shed workshop. Hacksaws and files ground relentlessly as did whirring lathes. 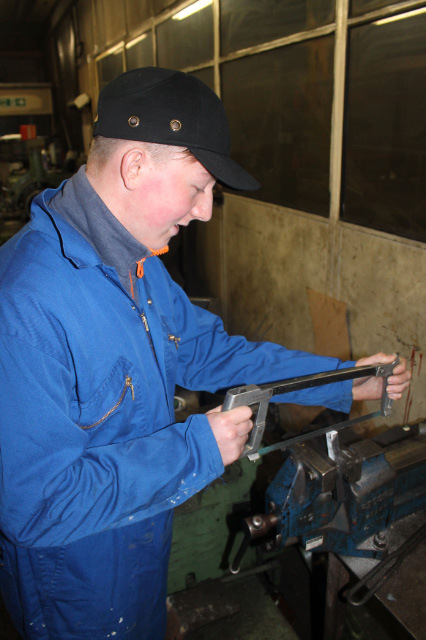 Unfortunately the demand for lathe and expert adult exceeded supply but at least 4 of the Juniors are well towards the finishing line with their Tool Makers Clamp manufacture. Thanks to Arthur and Andy for their support during the day. In the afternoon, Nigel Hall popped in to gather some of his gear and a chat. 4 Juniors tidied up and cleaned the running plate of the Q6 as there wasn’t any workshop work they could do due to limited lathe access. NYMR services were running for half term, so a chance to see 80136 and the DMU on passenger duties, and the Grosmont Station buffet was open for food. The J27 was reserve engine and stood steamless in the yard all day. Gordon Wells had purchased platform 110 volt splitters at a silly price in a sale and has donated one to the Group. It has been left on the Deviation Shed workshop bench and should be useful for teeing off the 110 volt sockets in the pit. 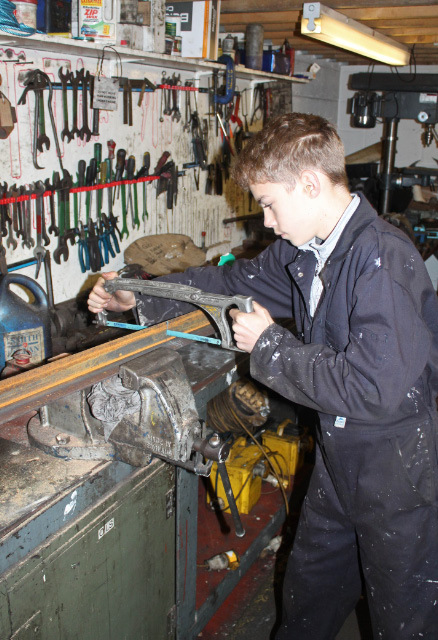 The next Juniors workshop session is on Saturday March 9th, and a reminder that the next Q6/J27 working party will be this Wednesday, 20 February. NELPG Junior Volunteers go through a programme of Workshop Practice training over a period of 2 years. 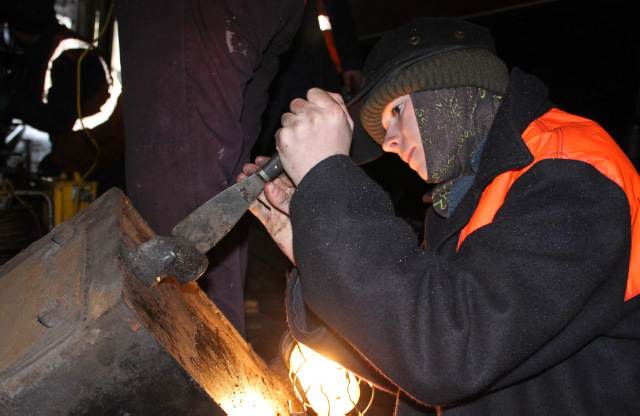 These sessions are lead by apprentice served mechanical engineering fitters from the North Yorkshire Moors Railway for which the NELPG is ever grateful. The syllabus covers filing, hack sawing, work layout/measurement using rulers/micrometers and the use of the pedestal drill. 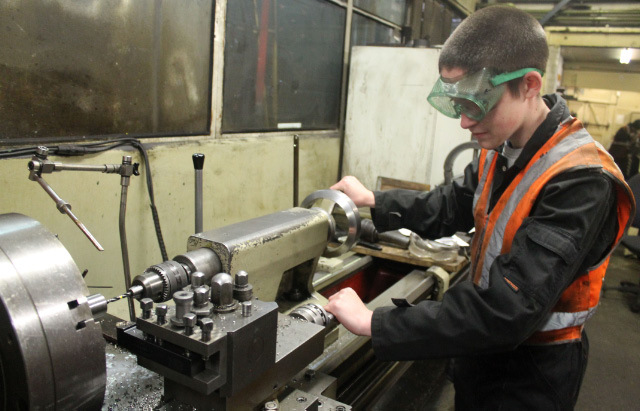 Tutoring them progresses on a 1 to 1 basis on the use of lathes. Safety is given the highest priority.! The photos show various Juniors at work during a ½ day training and Working Party session.